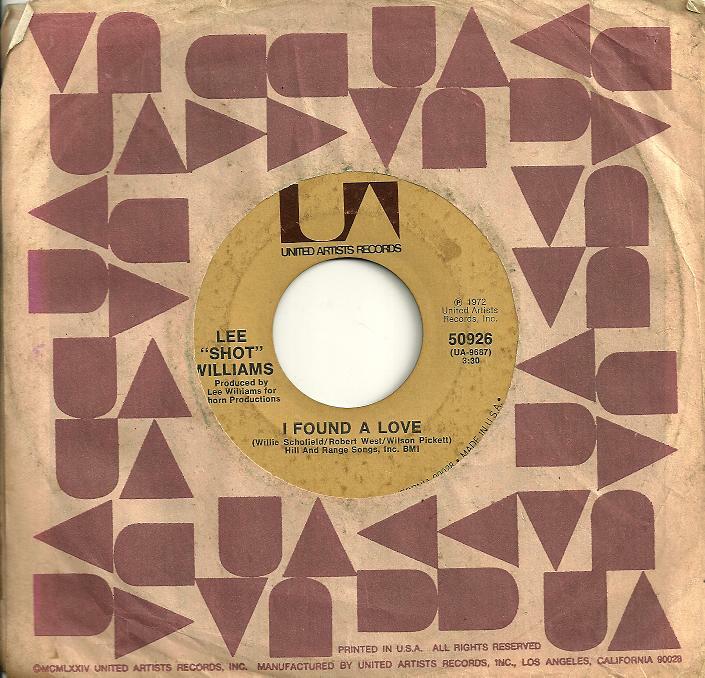 In ’72, United Artists picked up Lee ‘Shot’ Williams’ ‘It Ain’t Me No More’ / ‘I Found A Love’ off PM Records out of Mississippi, re-releasing it as ‘It Ain’t Me’. 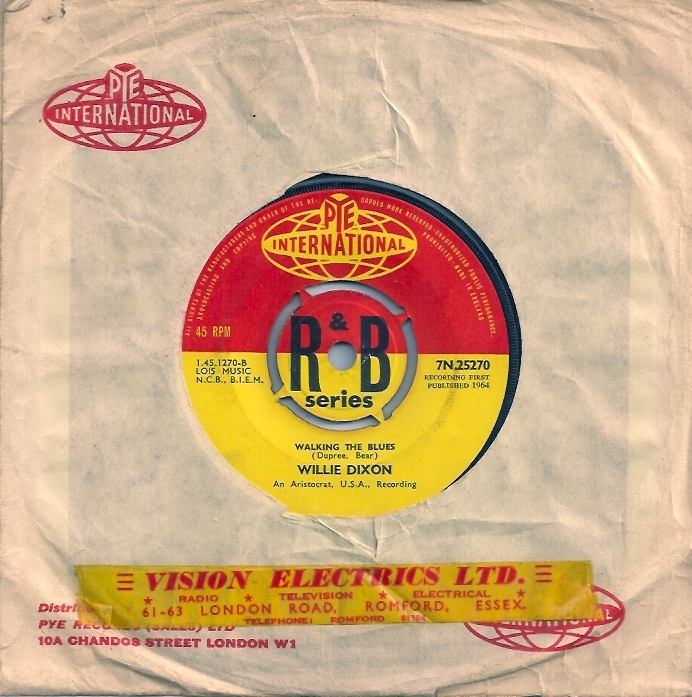 Having already issued a string of blues and soul singles from ’64 to ’70 on very small, local imprints like Foxy, Tchula, Gamma, Palo and Shama, with the occasional larger label like Federal and Sussex in the mix, the chitlin circuit airplay for ‘It Ain’t Me No More’ suddenly looked like it just might blossom into that much anticipated moment every musician awaits, and United Artists’ excitement felt like the stars had finally lined up for Lee Williams. I recall the label’s RnB department acting super confident about the single, due in part to his dependable live performances. 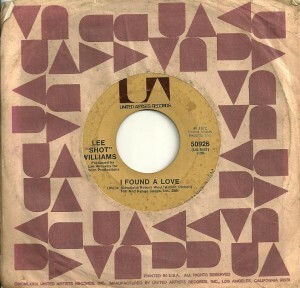 B side ‘I Found A Love’, for what it’s worth, felt way more like the hit to me. It combined the the pure down at heal pleading of every great Solomon Burke single with a more dirty but polished radio ready production, not unlike say, Wilson Pickett. Wrong again Kevin. In fact, the record literally disappeared into thin air. Other than the posse at UA, for which I was a college rep, seems no one paid a wink of attention. Fast forward a few decades and just try even holding a copy for under $50. Nowadays, especially if this were shorter, it would be known as an interlude. A lot of urban albums thread songs together with simple, stripped down stuff like this. But in ’64, ‘Walking The Blues’ was a single, how lucky for mankind. The UK hipsters turned musicians of the day were insatiable for almost any US blues player. Stories of major rock band formations based on the love of American blues legends are endless. Willie Dixon was king. After all, he wrote “Little Red Rooster”, “Hoochie Coochie Man”, “Spoonful”, “I Just Want to Make Love to You”, “I Ain’t Superstitious”, “My Babe”, “Wang Dang Doodle”…the list goes on. This B side makes for a nice, not overplayed, listen, complete with the original shop sticker on the company sleeve indicating point of purchase. Not unlike Big Maybelle, Tiny could belt it out. With only a few minor hits to claim, she came and went in relative obscurity. Despite being signed to King/Federal, and touring with, amongst others, Joe Turner, Bo Diddley, Little Willie John, Etta James and Ray Charles, it seems her star never properly shined. From the sound of this single, she was a powerhouse. 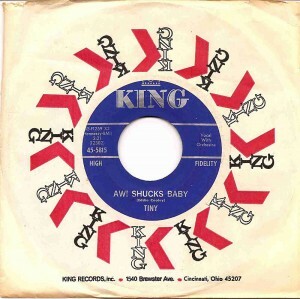 Originally released in ’57 (she was signed from ’57 – ’60), King decided on reissuing this, her most successful record in ’63 which is pressing above. I was in Washington DC in the early 90′s, returning to New York on a Sunday. Duane and I were there to see a band for Medicine, my label. Next morning, I scoured the yellow pages for a vinyl shop. One small listing was close by and sounded interesting, claiming doo-wop, gospel and blues amongst it’s specialties, so we gave it a go. It was in a pretty run down section of town and to be honest, we were the only two white folks in sight. The elderly man who ran the place, as he had for 30+ years, was behind the counter making small talk with a few women his age, all in their Sunday best, fresh from church. The shop was filled with cds and only a small section of 7″ vinyl in a back corner, not at all like he described his stock when I’d called earlier. Even more frustrating, the very vast majority of them were recent reissues. Really dreadful. But I did notice a few Chess, Checker and King originals amongst them, all of which I selected and eventually made my way up to the counter with them in hand. Duane too had picked out a bunch. When I asked the price, he looked through them and said “They’re usually $4 but I think we should have a half price sale today, seeing as you boys have chosen some really nice stuff here”. We immediately launched into all kinds of questions – from both sides. 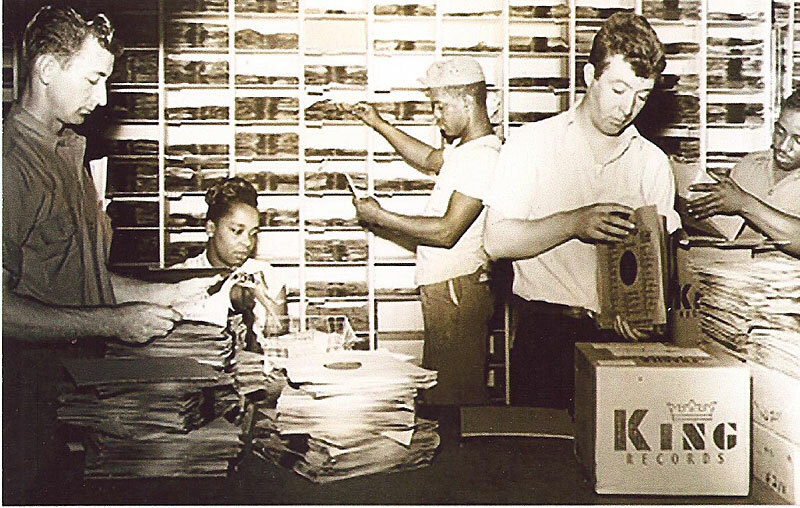 “How did we know about these records?” from him, and “Did you ever get to see Inez & Charlie Foxx or Slim Harpo?” from us. That kind of banter. We were having a great old time. Then he says “It’s about time to close but if you’d like, I’ll let you into the basement. 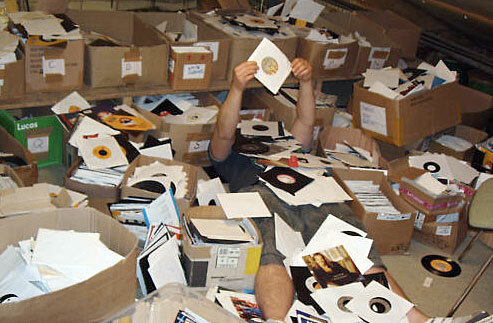 I have a lot more records down there and you might find a few good ones”. We were taking the shuttle home, they flew hourly and therefore in no hurry. Seemed a little odd to close your shop midday (it was at that point around 2pm) and invite the only two customers, behind the counter then down to the basement. We took the chance. 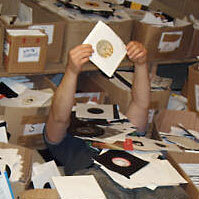 Oh my God, the place was heaving with boxlots of 45′s. Loads and loads, mostly Chess and King. He came down and started spinning Sonny Boy Williamson and Hank Marr records, so many others too. We were there for hours, high as kites on the buzz. I still ask Duane, what were we thinking? We should have bought them all. I came home with at least 200, all in company sleeves. Tiny’s ‘Aw! Shucks Baby’ was just one of the endless jems. After all that, this truly kind, gentle and generous man drove us to the airport in his big old, polished, oversized 70′s car, going way below the speed limit, in true fashion. It was like a little kid’s first ride in a stretch, and the stories about the past, like seeing shows at The Howard Theatre, kept flowing. Duane recalls his name being Christian, but in the high of the moment, we didn’t exchange contact info, a real regret. Still, a priceless memory for life. 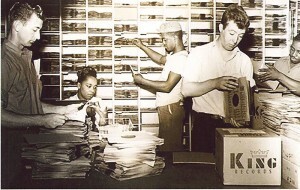 Above: A shot of the King Records shipping room. I wonder if any of Tiny’s were being picked and packed?